Phycocaris sp. 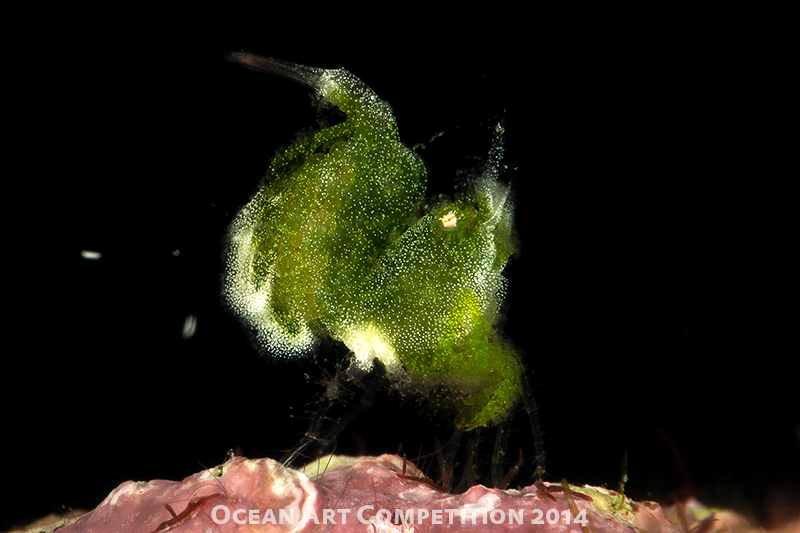 commonly referred to as "Green Shaggy Shrimps", measure between 3mm to 5mm in length and have a shaggy carpet like texture, unlike their cousins the hairy shrimp which have long hairs. Side note: It took many dives with Ian to finally locate a green shaggy shrimp, it takes great perseverance and skills to find one of these tiny creatures. Thank you Ian for making my dream come true. Camera: Nikon D800E, Nikkor 105mm macro lens, Nauticam housing, Nauticam SMC, dual Sea & Sea YS-250 strobes.